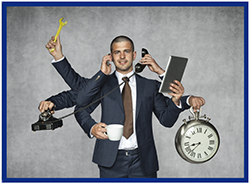 24/7 customer service is the gold standard - but this may seem out of reach for many independent agencies to provide. With the Big "I" endorsed provider Insure Response, you may be surprised at what's possible. Last week we announced that Big "I" members can now enjoy deeply discounted rates on packages from the Insure Response call center, including $200 off the one-time set-up fee and over $150 off the monthly minimum fee, bringing your base monthly price to just $99/month. Take a few minutes today to listen to a recent Agency Nation interview with Insure Response founder Micheal Hunter. This is a stirring discussion about what happens when your agency expands into unlimited availability and will have you considering what possibilities will open up for your agency with the extra support of licensed agents at your disposal 24/7. Visit www.insureresponse.com/iiaba to find out more or contact Insure Response at clientrelations@insureresponse.com (866) 466-7891. InsurBanc's Robert Pettinicchi was recently interviewed in an article for Property Casualty 360. 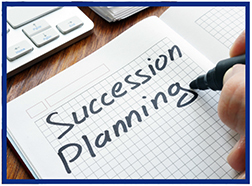 The article discusses how to get prepared for the future and start formulating a plan for succession. Whether you are moving on from your insurance agency, going into retirement, or going into another business, a strong succession plan is key to setting up your agency for success after you have left or getting a fair price if you choose to sell. You can view the full article and more recent news from Insurbanc here. Trust-ee /tr? sté/ noun - an individual person or member of a board given control or powers of administration of property in trust with a legal obligation to administer it solely for the purposes specified. Community banks can serve as trustee and the vast majority do a good job, however if the beneficiaries feel they are not doing a good job they can sue, resulting in costly legal fees even in the ruling is favorable, moreso if settled. If criminal acts occur the bank can still be sued for failing to catch the misdeeds. Trust funds are not usually accessible for the defense, although sometimes the cost can be recouped from the plaintiff. This policy provides liability protection when claims are asserted against directors and officers for actual or alleged wrongful acts. The assets of the company or organization, as well as the personal assets of its directors and officers, are protected from costly litigation. This policy helps protect company assets from employee lawsuits alleging discrimination, harassment or wrongful termination and other employment-related claims. This policy provides coverage to protect against data breaches and other fast-evolving cyber exposures not covered by standard property and liability policies. The Travelers CyberRisk policy responds in multiple ways, such as security breach remediation and notification expense, network and information security liability, regulatory defense expenses, crisis management event expenses and computer program and electronic data restoration expenses. Fiduciary liability insurance responds to claims made against employers, employee benefit plans, board members and employees for breaches of fiduciary duty with respect to employee benefit plans. These claims can include allegations of imprudent investment of plan assets, excessive fees paid to service providers, non-compliance with plan documents, and false and misleading statements to plan participants. Community banks offer a variety of services to customers, and such services continue to expand - especially with the evolution of the e-business platform. Personnel who manage these professional services, as well as the bank itself, could be liable if errors and omissions occur in the execution of services. With bankers professional liability coverage from Travelers, banks can be protected from a wide range of related exposures. Among the many roles potentially served by a bank and its employees is that of trustee. As a trustee, a bank may be responsible for managing an estate, a trust account or other similar asset. This representation could occur in a variety of capacities, including executor, administrator, custodian, and other roles. But the banker who assumes this role, as well as the bank itself, could be liable if a customer is not pleased with the service provided, or if errors and omissions occur. Professional liability coverage is designed to protect all types of financial institutions and their directors, officers, and employees from claims relating to the rendering of professional services. Insurance company professional liability insurance is intended to protect insurance companies from claims arising out of their claims handling. Financial institutions professional liability can assist banks and credit unions with lender liability and professional services claims. 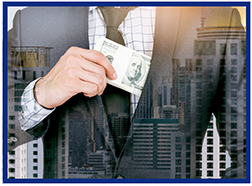 Financial Institutions Bond, with optional endorsements for social engineering fraud, electronic signatures, virtual currency, and account takeover coverages, provides an important backstop against the actions of dishonest employees, protecting a financial institution's balance sheet, assets and stakeholders' investments. This coverage helps safeguard companies and their key managers against the significant costs associated with kidnappings and extortion, including threats of bodily harm, property damage, product contamination, computer viruses or loss of trade secrets. The coverage reimburses certain expenses relating to restoring a victim's identity, including lost wages, pre-approved attorneys' fees, long distance telephone charges, loan re-application fees and notary and certified mailing charges. Travelers SelectOne® for Community Banks, underwritten by Travelers Casualty and Surety Company of America, is endorsed by the Independent Community Bankers of America. To find your local community bank, visit ICBA's community bank locator at www.icba.org/locate. Simply type in your zip code and the app will show you all the community banks in your area. Congratulations to this week's winners - Kathy Niedermyer (IA), Kelly Sheik (KS), Barbie Bradham (SC), Megan Yochum (OK), & Pam Lind (NE). Congratulations to our agent in Michigan on a Habitational - Apartment Program sale of $11,033 in premium!